Getting the right slip resistant shoes can save your bones and medical bills, especially if you are prone to falling or working on slippery surfaces such as at a restaurant. But how do you test your shoes at the store? There are a few simple tricks you can try, according to Penny Thompson, a sales associated from Famous Footwear Outlet. Before you even put the shoes on, check the box. Some boxes will note if the shoes are slip resistant. While the standards for being slip resistant aren't regulated, this can help to get you started. 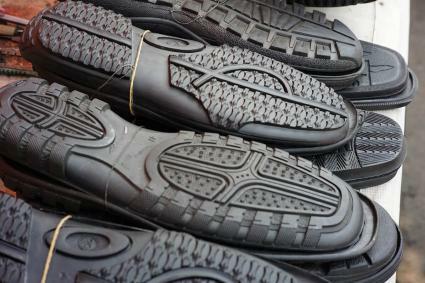 Shoes that are oil-resistant or slip-resistant will have a specific tread to them. This tread can come in different shapes such as circles or hexagons. It is these shapes will move the liquid out and prevent slipping and falling. Larger quantities of smaller shapes are better than small quantities of big shapes for preventing slips. Flat edge soles can keep the liquid trapped under the shoe, making you hydroplane like a car. Look for soles with rounded sides. Just like a tractor tire, look for grooves. Soles with grooves cut in them creating flexible parts are less likely to trap water by channeling the liquid out from under the sole. This keeps you upright. You don't want anything that is too hard. Look for a rubbery sole that will stick to the ground. The sole will be a little softer and more pliable instead of hard and rigid. After you found a shoe with the right qualities, it's time to try it on. If you can find an area with shiny flooring, such as polished wood or linoleum, walk around in the shoes. Notice how your foot moves around the surface. Try sliding. Notice if your foot stays in place or if you can feel a little slide on the floor. If there isn't hardwood, find a smooth bench and use your hand to test the soles. You should be able to feel right away the way the shoes grips. Getting the right slip resistant shoe online can be a bit more difficult. Since you can't see or manually test out what you are buying, reading can be your best friend. Just like you would in the store, look for the different characteristics that will make the shoe slip resistant. Many times, you will want to check out the work and safety shoe area, since this is where most slip resistant shoes are. Look over the reviews and if you can, ask questions. People will typically note if these worked well in slippery situations. A lot of online stores that sell slip-resistant work shoes will offer guarantees and money back if the shoes fail. They might have tested their shoes as well and posted their results. 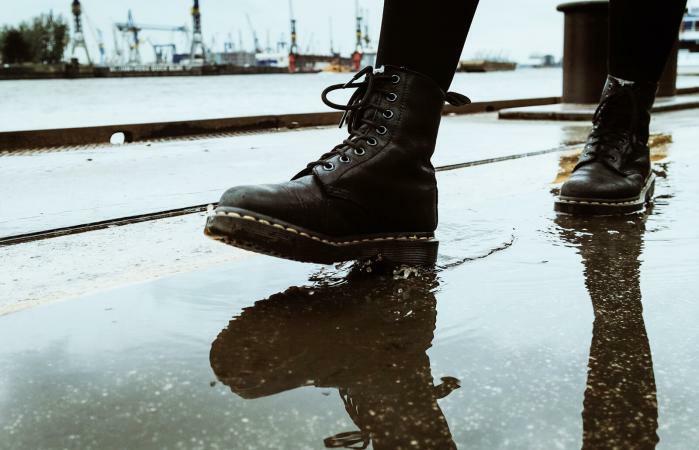 Slip-resistant shoes are a must have if you work around a lot of water or slippery floors. However, finding the perfect slip-resistant shoe can take a bit of searching.